This is a collection of stories collected over thousands of years by various authors, translators and scholars. The are an amalgam of mythology and folk tales from the Indian sub-continent, Persia, and Arabia. No original manuscript has ever been found for the collection, but several versions date the collection's genesis to somewhere between AD 800-900. The stories are wound together under the device of a long series of cliff-hangers told by Shahrazad to her husband Shahryar, to prevent him from executing her. Many tales that have become independently famous come from the Book, among them Ali Baba and the Forty Thieves, and the voyages of Sinbad the Sailor. 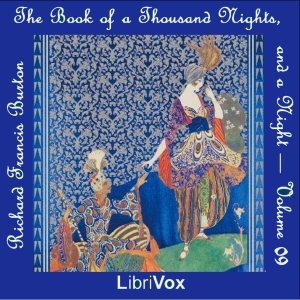 This collection comes from the ninth of sixteen volumes translated by Burton.